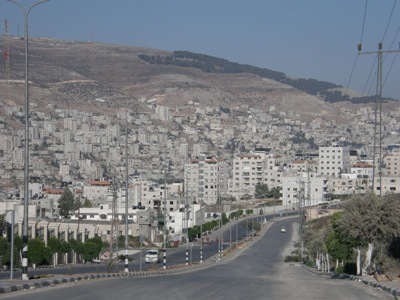 Nablus city lies some 66 km to north of Jerusalem and is with its approximately 130,000 inhabitants is the second largest (after Hebron) city in the West Bank with an ancient history. It is regionally famous for its native sweet knafeh and traditionally well-known for its soap industry (soaps made with pure olive oil). 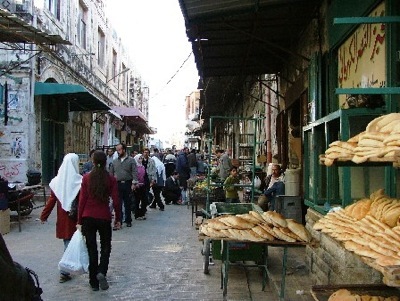 Before the current Intifada, Nablus was the major commercial, industrial and agricultural center in the northern West Bank, but invasions, checkpoints, and curfews have severely damaged the city’s economy and infrastructure. – If the Israeli army permits, the tour will pass the checkpoint to the Samaritan community living on the nearby Mount Gerizim (the site of their ancient temple). They stem from one of the 12 biblical Israeli tribes, speak and pray in Hebrew and believe in the writings of the Torah. The Nabulsi Samaritans consider themselves Palestinians and are fully integrated in the daily life of the Palestinian society, go to Palestinian schools and universities, and work together in Nablus and surrounding areas. The city was given its name by Titus, who rebuilt it in 70 AD and called it Flavia Neapolis, in honor of his father. 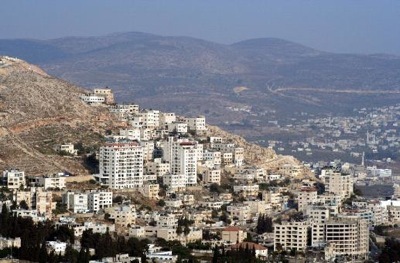 Nablus city was built by the Canaanites on the remains of a Stone Age city. Its name was derived from the Canaanite word, Shekheim, which means a hilly area. In 636, the city was liberated by the Arabs under the Moslem commander ‘Amr Ibn Al’as and became one of the most famous and richest cities in Palestine. In 1099 the Crusaders took possession of the town and called it Naples. The town was badly damaged in 1187 when Saladin recaptured it for Islam. Around the city, three refugee camps are located (Camp No. 1, Askar and Balata Refugee Camps, the latter one being the largest camp on the West Bank) and in the Nablus district, numerous Israeli settlements have been built, mostly on land confiscated from the Palestinian owners. 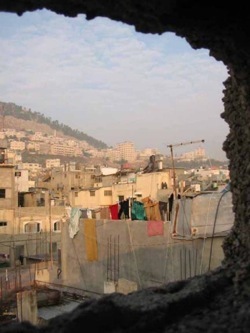 During a major Israeli military operation in April 2002, Nablus was one of the main targets; at the end of the operation over 80 residents were killed and dozens of houses were destroyed or severely damaged, mainly in the Old City. 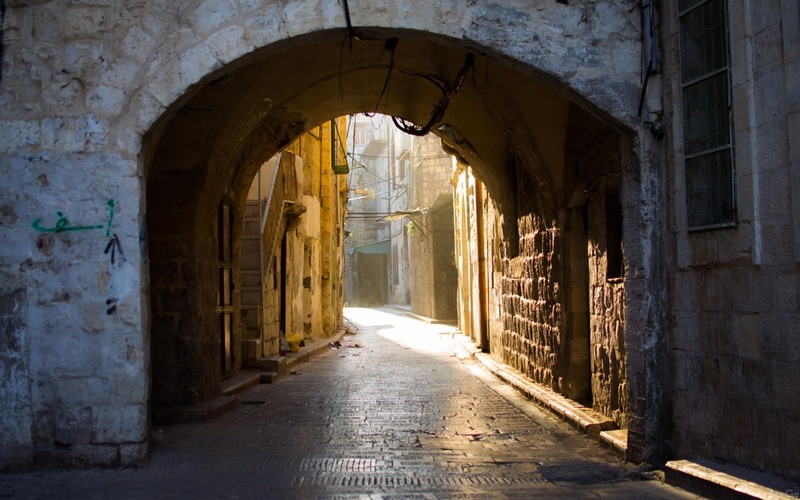 These included many historic buildings, such as Al-Khadra Mosque, the Great Mosque, As-Satoon Mosque, the Greek Orthodox Church, Al-Shifa hamam, one of the entrances to the old market, and the stone-paved streets of the old city.